Hyderabad: Oxford University Press, the world’s largest university press, today launched a new book titled “Understanding Indian Consumers” by Durairaj Maheswaran and Thomas Puliyel, at an event hosted at the Indian School of Business (ISB), Hyderabad. 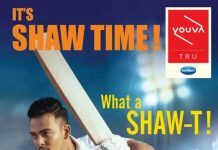 The book focuses on the Indian market scenario and ways to attract the attention of the consumers. Present among guests at the launch event were Paras Bansal, Business Head – Higher Education, Trade & Professional Learning, Oxford University Press India. With India growing as an attractive destination for marketing and investment, thanks to its robust economic growth, there has been a steady improvement in the business environment owing to an increasingly favourable regulatory and policy framework. As a result, the title, Understanding Indian Consumers, glimpses into the psyche of Indian consumers and points out the socio-economic and cultural aspects that play an integral role in influencing the buying power of these consumers. The book is a compilation of case studies and articles written by the best minds amongst the academicians and business practitioners from around the globe. 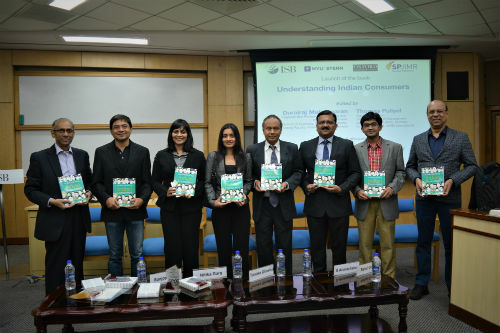 With an objective to help students of MBA specializing in Marketing, the book collates thoughts of experts on the changing dynamics of Consumer Behaviour in India and strategies used by marketing professionals to deal with the ever-changing faces of Indian consumers. The authors Durairaj Maheswaran and Thomas Puliyel are Professor of Marketing and International Business, Stern School of Business, New York University and Adjunct Professor, SP Jain Institute of Management and Research, Mumbai, respectively. Mr. Puliyel was also the former President at IMRB International.